At his press conference announcing that Jerry Manuel and Omar Minaya would not return as manager and GM, respectively, a reporter asked Jeff Wilpon if the next GM, whom Wilpon had said would be given full autonomy, could even trade David Wright given the right circumstances. Wilpon's answer was a reasonable one: "I can't imagine it. But if you're going to listen to the new GM and he's going to tell you (it will) bring back five pieces or something, then I guess you have to listen. I'm not saying we're going to do it, but you'd have to listen." It was perhaps the most diplomatic way to say "yes." Still, the Daily News reports that the comments caused David Wright's friends to bombard him with texts. (Sample text, presumably: "The mets might trade u!?") 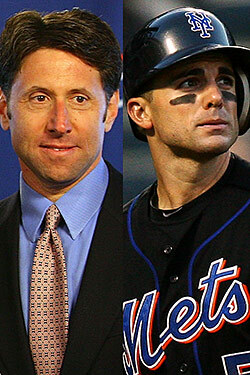 So just to be safe, Wilpon called Wright to tell him he still very much wants him on the Mets. Says Wright, relaying their conversation to the paper: "He just wanted to let me know that he wanted me to be here next year, and wants me to be part of the solution for many years." The third baseman wants to stay, too, and said he understands Wilpon's comments. Said Wright: "There should be nobody that is untouchable."